masnasih.com - How does it feel to be hurt by people? Must be very sick right? To the point of finding a way to forget someone who hurt you, and find this article. 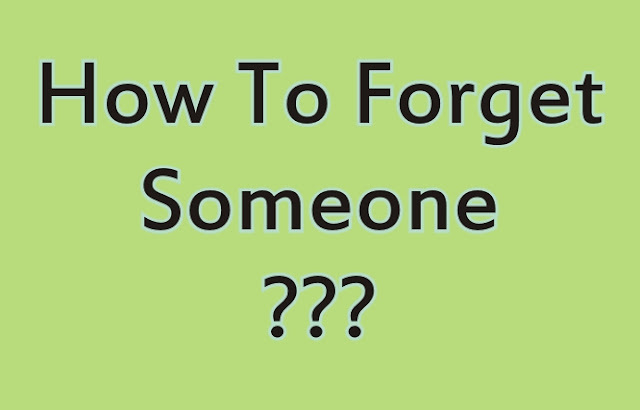 Here I will share how to forget someone because he has hurt our feelings. There are several ways to forget that you can do to forget someone including the following. Calming the mind in one third of the night will make our heart feel calm. With a calm atmosphere, our hearts feel at ease and the mind becomes calm. Let go of all the burdens that are on our mind, surrender everything to the Lord of hosts. In this way we will easily forget someone. At a minimum we are able to forget the crimes that someone committed us. Forgiveness is the best way to calm your heart. Although it may still continue to be thought of, at least able to erase the hurt that is within us. Forgiveness will make us always calm in carrying out all the problems that exist in life. Indeed, forgiveness may be difficult. But by forcing yourself to forgive, we will calm down, and indirectly forget about the crimes committed by someone. make it a motivation to get up and continue to improve. this third way is what I usually do. I am very difficult to forget the evil of others. So I decided to rise from adversity. Continuing to think of other people's crimes will only make us sick. Then the best way is to get up and continue to improve. Prove that we are better than someone who has hurt us. The more we continue to improve ourselves, the more we achieve what we want. The more we think of other people's crimes, the more hurt we are. So, be a person who always seeks calm in the middle of the night, forgives, and continues to improve to forget someone who has hurt us. Not looking at him ex-boyfriend, best friend, playmate, and so on, the most important thing is to move on and focus on our dreams.